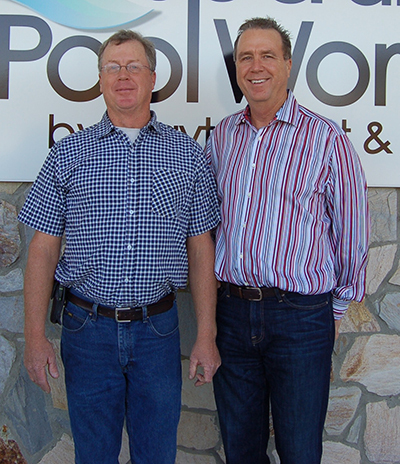 Having come to work for his father as a teenager, Ricky has learned the swimming pool business, literally from the ground up. He is an expert in all aspects of the company – construction, water chemistry, equipment repairs… just to begin the list. Ricky specializes in concept, design and client relations, and he is the one who can start your dream on the road to becoming a reality while always keeping your budget in mind. You can rest assured that there will be no detail overlooked, or no pool too large for him to bring to fruition. He is also well-versed in local and North Carolina pool regulations. Born and raised in Fayetteville, he knows the area and is familiar with surrounding region as well. Ricky is our social butterfly and enjoys improving his golf game and relaxing in his spare time. As our field specialist, John’s forte is construction. He is on-site every day, literally in the trenches, reveling in getting his hands dirty — all to ensure that the project is completed to your satisfaction. You can be sure that with him on the job, everything is smooth, level, structurally sound and safe. John and his crew take great pride in working rain or shine to stay on schedule, while delivering the quality swimming pool construction that you expect. He is always more than happy to address your concerns and answer any questions you may have about your project. John is our resident nature lover and loves to be outside working on his small farm. Responsible for his own staff of three, Johnnie is one of the hardest-working men in the industry. He is usually out in the field, with little to no office time, working hard to make sure our customers’ service and repair needs are met. He is very knowledgeable and makes it a priority to stay on top of the latest in technical information and training available. Johnnie is also most likely the one who will install your new construction pool equipment, as well as perform the more demanding equipment repairs. Johnnie’s dedication to customer satisfaction is only matched by his love of reeling in the big fish.